Gregory R. Simmons - Howard B. Tate & SonFuneral Home, Inc.
Averill Park- Gregory R. Simmons, 27, a lifelong resident of Averill Park, died suddenly of natural causes, Saturday, March 26, 2016 after being stricken at his parent’s home. Born in Troy, November 4, 1988, Greg was the son of Robert and Patricia (Carroll) Simmons of Averill Park who survive. 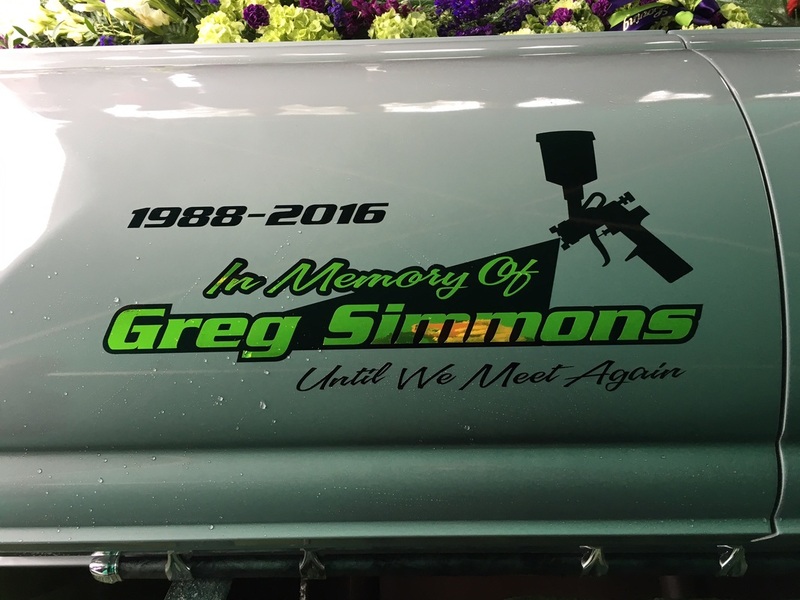 Greg was a graduate of Catholic Central High School in Troy and earned an Associate’s Degree in Automotive and Autobody Technology from Hudson Valley Community College, also in Troy. Since January, Greg was employed and enjoyed working as an autobody technician at Hadley Autobody in Nassau. Greg loved the sport of go-karting and was honing his craft by racing, working on and designing both kart chassis and motors as he pursued his dream job of working in the motorsport industry of go-karting and owning his own kart raceteam. Greg enjoyed many great experiences in racing and made many good friends as he traveled up and down the East Coast following his passion in the kart racing circuit. One of his greatest accomplishments in karting was winning the 2010 Pennsylvania Capital Dirt Kart Series Championship in his class, earning him the coveted “Leather Racing Jacket”, which he wore with pride. The only passion Greg had equal to his karting was his love of his rescue dog that he referred to as Bart and his parents loving called “Zeus”. If Greg could, he would have rescued every dog he could find and provide them with a good home. A funeral service for Greg will be held on Monday, April 4, 2016, at 1:00 P.M. at the Howard B. Tate & Son Funeral Home Inc., 2237 New York Route 7, located in Raymertown. Burial will follow in St. Henry’s Cemetery in Averill Park. Relatives and friends are invited to call at the funeral home on Sunday, April 3rd from 1:00-5:00 P.M.
​At the request of Greg’s family, memorial contributions if desired may be made to the Good Shepherd K-9 Rescue, 3313 Mariaville Road, Schenectady, NY 12306 in memory of Greg R. Simmons.